Club for sport and tourism “Machirski” develop long activity in the area of mountain tourism and snow sports. 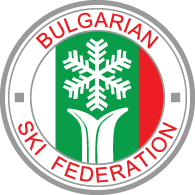 It is one of the leading clubs in Bulgaria for sport and travel activities for children. The club is focused on training racers for participation in sport competitions of ski, snowboard and sport climbing. The club actively participates in the development and accomplishment of projects of The Ministry of Youth and Sports, Sofia Municipality and international projects. Help out to socially disadvantaged children and young people as providing training without fee or extra charges.